This is just a general thread that anyone with a beserker could post up pictures or leave information about their hero and ask for help or advice about where they should try to improve their hero. On the other side you could just post up your pictures or information and try to help other people with what you know. I'll start off by posting some pics of my beserker and his stats and see what people think / have questions or opinions on. 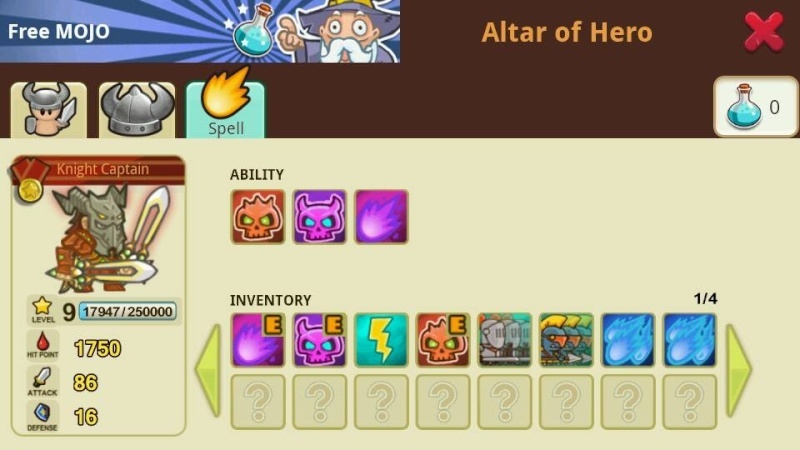 That would be the ultimate mojo hero, i dont buy mojo but i currently save it and now i have 1k mojo, i already got deep purple for skill, but doesnt have mystic blast and i really want new equipment so i need a suggestion. 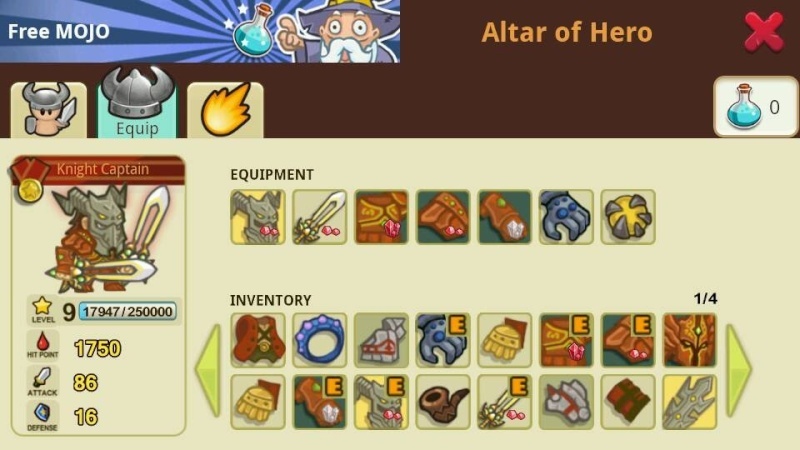 Should i buy the princes of blades or save more for evil dragon hearts ring..
Btw u ever got a hard time getting pass adventure mode with that gear mr. chiodo? If i were you i would save up for prince of blades for sure. Evil dragon heart is the best ring no doubt, but if you don't have a good weapon for its effects then it is pretty much pointless. As for adventure mode, i didn't have many problems in adventure. Most missions i could just wall rush with my hero but there was that one every so often that required a formation. chiodo wrote: If i were you i would save up for prince of blades for sure. Evil dragon heart is the best ring no doubt, but if you don't have a good weapon for its effects then it is pretty much pointless. As for adventure mode, i didn't have many problems in adventure. Most missions i could just wall rush with my hero but there was that one every so often that required a formation. Agreed. If you have lots of damage to HP, it doesn't matter unless you have lots of damage. 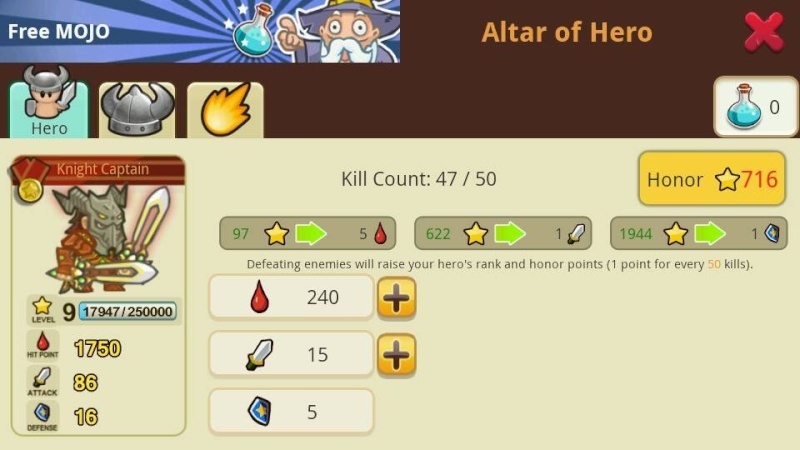 eroNez wrote: That would be the ultimate mojo hero, i dont buy mojo but i currently save it and now i have 1k mojo, i already got deep purple for skill, but doesnt have mystic blast and i really want new equipment so i need a suggestion. Could you please tell me where you farm for your shadow gear? Fire Valley is a good place to farm for shadow gear. The boss is pretty easy to wall rush once you get the right setup for it. chiodo wrote: Fire Valley is a good place to farm for shadow gear. The boss is pretty easy to wall rush once you get the right setup for it. Could you please tell me what your set up is for the fire valley boss? Are the purple spells a good combination in the case of the zerk or is there something better in the end? Purple spells are the best for any hero. 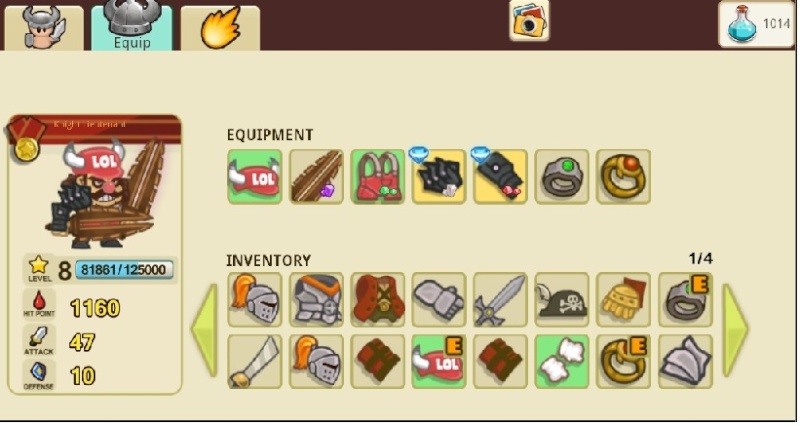 you have super nice stats, im almost there with you as far as gear goes. Thanks, my stats have actually increased since i made this thread, i'm up to 1852 hp, 89 attack, and still 16 def. But i can't farm mask of shadow frags for the life of me. I've farmed fire valley for months, did a month of just killing the king dragon, and i've done leafy spring for a little and all i have to show for it is 3 mask of shadow frags. I've gotten 3 shoulders, a claws, and armour all from that but it seems that i'm not meant to have the mask lol. Any suggestions anyone? Otherwise i guess i'm just gonna stick with farming until i get lucky.